Iyka has been pre-qualified in each of the IT skill categories listed and described below. Iyka has experience in providing resource for application development in areas including such positions as Website Designer, Web Developer, Mobile Developer, SharePoint Developer, MS Access Developer, Adobe Developer, Software Developer, Senior Software Developer, Fleet System Developer, Application Deployment: Microsoft Dynamics CRM, Remedy System Developer, Remedy Force Developer, Mainframe Software Developer, Mobile Application Developers. Perform complex software application analysis, design, development, programming, testing and maintenance of websites as well as web- enabled software applications. Skills should include software analysis, design, and development, as well as troubleshooting, diagnosis and repair of software defects, including the ability to perform the technical functions necessary to develop and integrate new web components, as well as implement software upgrades, enhancements, data migrations, system integrations, and other operational activities necessary to support the State’s software systems and applications architecture. Perform complex software application analysis, design, development, testing and maintenance of websites as well as software applications for mobile platforms. Skills should include software analysis, design, and development, as well as troubleshooting, diagnosis and repair of software defects; these should include the ability to perform the technical functions necessary to develop and integrate new web components, as well as implement software upgrades, enhancements, data migrations, system integrations, and other operational activities necessary to support the State’s software systems and applications architectures. Perform complex software application analysis, design, development, programming, testing and maintenance of SharePoint applications as well as web-enabled software applications. Skills should include software analysis, design, and development, as well as troubleshooting, diagnosis and repair of software defects, including the ability to perform the technical functions necessary to develop and integrate new web components, as well as implement software upgrades, enhancements, data migrations, system integrations, and other operational activities necessary to support the State’s software systems and SharePoint architecture. Maintain and convert (to .Net SQL) existing Microsoft Access software applications. This includes the ability to perform complex software application analysis, design, development, programming, testing and maintenance on multiple versions of MS Access. Skills should include software analysis, design, and development, as well as troubleshooting, diagnosis and repair of software defects, including the ability to perform the technical functions necessary to develop and integrate new features and functions, as well as implement software upgrades, enhancements, data migrations, system integrations, and other operational activities necessary to support the State’s software systems and applications architecture. Perform complex software application analysis, design, development, workflow design, programming, workflow development, testing and maintenance using Java programming language. Skills should include software analysis, design, and development, as well as troubleshooting, diagnosis and repair of software defects, including the ability to perform the technical functions necessary to develop and integrate Java-based applications, as well as implement software upgrades, enhancements, data migrations, system integrations, and other operational activities necessary to support the State’s software systems and applications architecture. 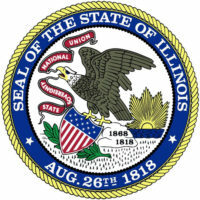 The resource would be familiar with and able to develop applications which are compliant with the standards set forth in the Illinois Information Technology Accessibility Act (IITAA). Perform complex software application analysis, design, development, programming, testing and maintenance on the specified technology platform. Skills should include systems analysis and design expertise, competency in leading software application development projects, capability to train and mentor junior developers, experience in complying with various methodologies, and the ability to create and execute software applications within specified software platforms and architectures utilizing the State’s standardized tools, techniques, and methodologies. Undertake complex software application analysis and comprehensive system design on the Asset Works Fleet Management technology platform and be responsible for delivering solutions on-time and on-budget. The resource must also be able to analyze, design and develop code based upon new requirements and customize new or existing Fleet and Fuel Management applications. Skills should include systems analysis and design expertise, competency in leading software application development projects, capability to train and mentor junior developers, experience in complying with various methodologies, and the ability to create and execute software applications within specified software platforms and architectures utilizing the State’s standardized tools, techniques, and methodologies. Perform complex software application analysis, design, development, programming, testing and maintenance of Microsoft Dynamics CRM applications. Skills should include software analysis, design, and development, as well as troubleshooting, diagnosis and repair of software defects, including the ability to perform the technical functions necessary to develop and integrate components, as well as implement software upgrades, enhancements, data migrations, system integrations, and other operational activities necessary to support the State’s software systems and Microsoft Dynamics CRM architecture. Undertake complex Remedy development efforts, and be responsible for delivering solutions on-time and on-budget. They must be capable of defining technology architecture, creation of strategic roadmaps, technical assessments, and project planning. They must also be able to analyze, design and develop new requirements; customize new or existing ITSM applications; and upgrade ITSM applications from an earlier version using the ARS development environment. The resource must be able to architect solutions in BMC Remedy Action Request System (ARS) as well as the ITSM suite, CMDB, SRM, Mid-Tier and related tools. The resource should also be able to develop Crystal Reports and deploy in Crystal Enterprise Server in support of an upgrade project; integrate various external integration tools with ARS (e.g. - SMS, LDAP, Business Objects, and Mobile Device Platforms) in support of an upgrade project. dashboards, etc. to improve system usability. Maintains updated system documentation and Remedyforce/Salesforce policies & procedures. Manages all system access and security settings. Conduct regular security/configuration audits. Tests and Executes all configuration changes. Performs new release evaluations with business owner & executes new functionality roll-outs. Regularly audits data to uncover data integrity issues and/or opportunities for process improvement. Performs manual or automated data entry/data clean-up as required. Performs mass data imports using the API or Salesforce import tool. Manages all new user set-ups and deactivation; ensures proper license utilization. Manage Pentaho integration between Atrium and our RemedyForce CMDB. Lead integration efforts between solutions such as Microsoft active directory, BMC’s Atrium, RemedyForce, BlueStripe, Zabbix, and other systems configuration and deployment utilities to use CMDB data. Creating workflow rules for Incident, Problem, Knowledge, Change, Request and Service Level Management; workflow alerts; automated email responses; approval processes related to Change Management and Request Management. Creates and maintains all IT help desk templates; Creates and maintains Knowledgebase; Creates and maintains Reports and Quick Views; Creates and maintains Remedyforce CMDB along with Configuration Item relationships; Creates and maintains the service catalog within Remedyforce; Creates and maintains all service level and operational level agreements, along with underpinning contracts within Remedyforce; Creates and maintains all Service Requests within Remedyforce; Sets up useful links within Self Service and Remedyforce; Modifies the sharing model as required; Creates and manages email alert and email templates; Creates custom fields and modifies pick list values; Creates and maintains queues; Creates and maintains Chatter; Creates and maintains Accounts, Statuses, the Category Tree, Impact, Urgency & Priority Matrix development concepts, principles, theories and functions supplemented by at least four years of professional experience in software application development. Specialized skills include Remedy, RemedyForce, SalesForce and related technologies. Requirements to document the desired functionality within information technology business solutions. Perform complex software application analysis, design, development, programming, testing and maintenance on the specified technology platform. Skills should include significant competence in Business Process Management and related disciplines and the technical skills necessary to Capture, analyze, and report these requirements, utilizing the State’s standardized tools and techniques; software analysis, design, and development; troubleshooting, diagnosis and repair of software defects; the ability to perform the technical functions necessary to implement software upgrades, enhancements, data migrations, system integrations, and other operational activities necessary to support the State’s software systems and applications architecture. Assume direct responsibility for researching, planning, coordinating and recommending software and system choices to meet an organization's business requirements. Perform complex software application analysis, design, development, programming, testing and maintenance on the specified technology platform. Skills should include systems analysis and design expertise, competency in leading software application development projects, capability to train and mentor junior developers, experience in complying with various methodologies, and the ability to create and execute software applications within specified software platforms and architectures utilizing State’s standardized tools, techniques, and methodologies. Iyka has experience in providing resource for database administration areas including such positions as: Database Designer; Enterprise Data Administrator; Enterprise Data Architect; and, Information Exchange Package Document (IEPD) Developer. Design, implement and maintain complex production- level database designs and related documentation, including detailed data models, and data flow diagrams for specified database architectures. Evaluate and configure various Database Management System (DBMS) products to match user requirements with system capabilities; determine file organization, indexing methods, and security procedures for system databases; and plan and coordinate data analysis, conversion and migration of existing databases to state of the art RDBMS’s. Design, implement, maintain, tune and repair enterprise data exchanges and data repositories, including creating Data Exchanges, Mapping ERP, Best of Breed, and Legacy data stores to the NIEM Federated Data Model; Mapping Physical Database fields to the Exchanges; identifying and migrating legacy data; coordinating Data Transformation, and creating and executing a Legacy Data Archival Plan. Must have significant experience and expertise in optimizing the performance of multiple and potentially diverse databases utilized by software systems and applications. Optimize data assets across the enterprise as well as ensure the database architecture is designed to suppot the organization’s strategic goals. Primary duties include establishing Data Architecture as-is and to-be diagrams; defining and maintaining an Enterprise Data Model; managing comprehensive Metadata and Data Dictionary; establishing Data Retention and Archival standards; identifying and maintaining appropriate controls to ensure the privacy, security and integrity of enterprise data; and coordinating Enterprise Data Exchange Services. The enterprise data architecture covers databases, data integration, and the means to readily access the data (typically the Enterprise Data Architect achieves these goals by setting organizational data standards). Skills and experience should include the ability to define the enterprise data architecture vision, strategy, principles, and standards and the ability to produce a comprehensive data management framework for the enterprise. Manage data assets throughout the enterprise. Primary duties include creating and testing Information Exchange Package Documents (IEPDs) to support an Enterprise Data Clearinghouse and Master Data Repository; and creating Data Conversion scripts to enable Data Exchanges, including performing all Extraction, Transformation, and Loading (ETL) and related activities. Additional duties will involve contributing technical expertise associated with sustaining accurate and timely data flow between various components of the enterprise application portfolio. Iyka has experience in providing resource for solutions architecture areas including such positions as: Microsoft Solution Architect; IBM Solution Architect; Adobe Solution Architect; Enterprise Content; Management Architect; Business Intelligence/Data Architect, SAP Enterprise Resource Planning Architect; Enterprise Resource Planning (ERP) System Integration Architect; Governance, Risk and Compliance Architect; and, Enterprise Change Management Solution Architect. Lead complex Microsoft development efforts, and be responsible for delivering solutions on-time and on-budget. Configure Microsoft Visual Studio (MVS), Team Foundation Server (TFS) and other Ultimate Developer tools to align with methodology and optimize development efforts. Define enterprise architecture, creation of strategic roadmaps, developing technical solutions/assessments, and project planning. Installing and configuring Windows Server and IIS Server. Use technical competency and operational experience with the entire Microsoft development stack including authentication and authorization. Be responsible for installing and configuring SharePoint Services Server; in-depth knowledge and expertise with development processes, roles, and techniques; in-depth knowledge and expertise with Windows Workflow, and MSBuild. Conceptualize, define, and implement an end-to-end IBM-based solution architecture suitable for business unit or enterprise deployment. Be responsible for implementing solutions utilizing Asset Analyzer, System Architect, Policy Tester, AppScan and other Rational Suite analysis and development tools. Responsible for evaluating and recommending alternatives for meeting both the short-term and the long-term needs of the business unit. Responsible for drive the definition and validation of the overall solution architecture (including Infrastructure, Application, Data, and Business Process architecture, and the Operations and Support solution approach) necessary to establish a cost-effective, scalable and robust business solution. Conceptualize, define, and implement an end-to-end Enterprise Content Management solution suitable for business unit or enterprise-wide deployment. Use experience in designing business unit and enterprise taxonomies, indexing strategies, and metadata optimization, as well as integration with various graphical user interfaces. Responsible for evaluating and recommending alternatives for meeting both the short-term and the long- term needs of the business unit. Use experience to drive the definition and validation of the overall solution architecture (including Infrastructure, Application, Data, and Business Process architecture, and the Operations and Support solution approach) necessary to establish a cost-effective, scalable and robust business solution. Conceptualize, define, and implement end-to-end Business Intelligence/Data Analytics solutions suitable for business unit or enterprise-wide deployment. Utilize skills and experience in analyzing virtualized data across multiple, disparate data sources and presenting that data via a common graphical user interface. Responsible for evaluating and recommending alternatives for meeting both the short-term and the long-term needs of the business unit. Be able to drive the definition and validation of the overall solution architecture (including Infrastructure, Application, Data, and Business Process architecture, and the Operations and Support solution approach) necessary to establish a cost- effective, scalable and robust business solution. Conceptualize, define, and implement end-to-end SAP Enterprise Resource Planning solutions suitable for business unit or enterprise-wide implementation and deployment. Responsible for analyzing and reconciling existing legacy business processes to conform to industry Best Practice business processes; configuring SAP business functions to accommodate specific agency requirements; and selective remodeling of Best Practices (as appropriate). Responsible for evaluating and recommending alternatives for meeting both the short-term and the long-term needs of the business unit. Utilize expertise necessary to drive the definition and validation of the overall solution architecture (including Infrastructure, Application, Data, and Business Process architecture, and the Operations and Support solution approach) necessary to establish a cost- effective, scalable and robust business solution. Conceptualize define, configure, and implement end-to-end Enterprise Resource Planning (ERP) solutions suitable for business unit or enterprise-wide implementation and deployment. The Resource should have specific knowledge and experience in transforming and integrating existing legacy applications and system interfaces both to sustain System of Record accountability and maintain operational stability as well as to accommodate industry Best Practice business processes; configuring system, software and database interfaces to accommodate specific agency or enterprise requirements; including selective integration of legacy applications with their ERP Best Practice counterparts. The Resource should be capable of evaluating and recommending alternatives for meeting both the short-term and the long-term needs of the business unit. The Resource should possess the experience and expertise necessary to drive the definition and validation of the overall solution architecture (including Infrastructure, Application, Data, and Business Process architecture, and the Operations and Support solution approach) necessary to establish a cost- effective, scalable and robust business solution. Conceptualize, define, configure, and implement end-to-end enterprise-level Governance, Risk and Compliance solutions suitable for business unit or enterprise-wide implementation and deployment. Use knowledge and experience with applicable State and Federal Governance, Risk and Compliance standards, regulations and legislation. Accommodate specific agency or enterprise requirements; including transformation of legacy applications into ERP Best Practice business processes and applications. Evaluate and recommend alternatives for meeting both the short-term and the long-term needs of the business unit. Drive the definition and validation of the overall solution architecture (including Infrastructure, Application, Data, and Business Process architecture, and the Operations and Support solution approach) necessary to establish a cost- effective, scalable and robust business solution. Design, implement and sustain effective Enterprise Change Management systems and methodologies, in support of multiple system integrators, while participating in the iterative configuration of end-to-end Enterprise Resource Planning (ERP) solutions suitable for business unit or enterprise-wide implementation and deployment. Translate complex and often overlapping business requirements into precise specifications necessary to transform business unit and enterprise business processes into industry Best Practices, through multiple iterations and releases, while sustaining efficient and effective business operability at all times. Demonstrate knowledge and expertise throughout the entire System Development Life Cycle, including design, development, testing, and implementation. Evaluate and recommend alternatives for meeting both the short-term and the long-term needs of the business unit or enterprise. Drive the definition and validation of the overall solution architecture (including Infrastructure, Application, Data, and Business Process architecture, and the Operations and Support solution approach) necessary to establish a cost- effective, scalable and robust business solution. Iyka experience providing resources for program management areas including such positions as: Project Manager; Program Manager, Jr.; Business Analyst, Sr.; Business Analyst; Computer Engineer / Systems Analyst; and, Enterprise Architect. Plan, coordinate, and manage all aspects of assigned information technology projects. Prepare and present status on project schedules, project costs, project deliverables, project risks, and risk containment strategies. Use Project Management disciplines and the technical skills necessary to capture, analyze, and report requirements utilizing the State’s standardized tools and technologies. Assume direct responsibility for the overall cost, schedule and technical performance of multiple inter-related projects or initiatives. Direct all phases of assigned programs and initiatives from inception through completion to achieve desired business objectives and organizational strategies. Serve as primary communicator to executive leadership, various levels of management, technology partners and key customers, (e.g., leading program review sessions with customers to discuss cost, schedule, and technical performance). Define, analyze, and document business processes and articulate business requirements to document the desired functionality within information technology and/or telecommunications based processes or business solutions. Use Business Process Management and related disciplines and the technical skills necessary to capture, analyze, and report requirements utilizing the State’s standardized tools and technologies (currently Visio and Provision). Define business objectives, interact with stakeholders, elicit requirements, conduct independent research (for design basis), and apply analytical thinking (to solve problems), visualize systems and processes via graphical representations, and attention to detail (for documentation and testing). Assume direct responsibility for researching, planning, coordinating and recommending software and system choices to meet an organization's business requirements. Use skills: analytical, technical, managerial, and interpersonal. Identify opportunities and to analyze and solve problems. Understand the potential and the limitations of information technology. Work with various programming languages, operating systems, and computer hardware platforms. Work with end users as well as with analysts, programmers, and other systems professionals. Translate an organization or enterprise business strategy into an IT systems architecture that will support that strategy. Analytically assess, investigate, interpret and creatively solve complex technical problems. Participating on assigned teams as well as providing specialized assistance to other teams or groups, and participating in defining technology architecture, creating strategic roadmaps and technical assessments, and project planning. Produce technical reports in areas of assigned specialty; to assure that technical, project schedules, quality, and cost objectives are met; to contribute or lead the development of new concepts and improve existing techniques; and to provide guidance to team members. Serve as the primary communicator to executive leadership, various levels of management technology partners and key customers, (e.g., leading program review sessions with customers to discuss cost, schedule, and technical performance). Iyka has experience in providing resource for technical support areas including such positions as Technical Writers; Technology Trainers; Software Quality Assurance Specialists; Production Control Specialist; Data Analytics, IT Research, Management Consulting and other related IT consulting support roles. Create new documentation from provided system information, and/or through examination of subject system/procedure, and/or thorough interviewing techniques. Create new documentation from experience and expertise in subject area, to plan and estimate work of a team by phase, and to report work progress of team. Creating online interface documentation and have exposure to interface tools; be able to ensure that proper cross-referencing occurs within the informational units and ensure that the front matter, body and back matter are complete and are formatted correctly; and ensure that the material is presented in a user-friendly manner and that all artwork is reviewed for appropriateness and accuracy. Create the general design and delivery of training courses in information and communication technology including desktop applications and organization-specific software. Providing training in more technical areas for software engineers, technicians, website designers and programmers. Prepare and conduct comprehensive software testing, with substantial experience within the specified technology platform. Work with small, agile teams of software designers, developers, and quality assurance specialists to develop and release high quality, secure, accessible software with a range of experience testing using various web browsers and technology platforms. Software quality assurance processes and best practices rapidly absorb product knowledge, and articulate technical problems to any audience. Monitor, manage, and troubleshoot various types of production control methods, including print operations, report generation and distribution, data load and data transfer routines, etc. Provide IT research and advisory services and assist agencies with building specifications for solicitations and project planning based on industry-best practices. Provide management consulting for business process re-engineering as well as for service streamlining, identifying new business models, service delivery models, etc. Iyka has experience in providing resources for security management areas including such positions as: Information Security Compliance Analyst; Security Vulnerability Analyst; Security Assessor; Application/Data Security Assessor; Disaster Recovery Services Specialist; Information Security Implementation Specialist; PKI Administrative Specialist; PKI Code Implementation Specialist; and, PKI Systems Analyst. Access, analyze, implement and manage information security within a complex organization. Ensure compliance within the State’s security program regarding privacy, integrity and availability regulations and other applicable state and federal laws, including the Federal Information Security Management Act (FISMA). PCI, PII, FTI, HIPAA, and NIST standards. Development, implementation, maintenance, and compliance with the States’ policies, procedures and stndards as well as training in security policies and practices. Review the security features of existing and new computing systems to ensure that they meet the security requirements within the organization. Detect, identify, and scan for vulnerable nodes and software with a solid background in networking and TCP/IP. Assess the various technical components (e.g., servers, databases, logs, web applications) of a compliance/security solution. Use knowledge of PCI, PII, FTI, HIPAA and NIST standards, as well as assessing if security policies and governance processes are sound and being followed. Present findings to Security Managers. Oversee software application and data security programs including secure software development lifecycle management and secure data management processes. This may include oversight of agency/enterprise software applications, and creation/revision of agency/enterprise policies and procedures regarding application and data security. Oversee disaster recovery project management and processes which may include agency applications, telecommunication equipment and network infrastructure; document disaster recovery testing and results; write and revise agency policies and procedures regarding disaster recovery; and assist Agency security administrator in performing risk assessments and disaster recovery exercises. Shape and implement security based on FISMA provisions while specific to State requirements. Implement a system security plan that fully describes the information system (e.g. purpose, capabilities, operating environment, and interconnections with other systems, user characteristics, and privileges). Create a system security categorization schema that can be followed State-wide. Develop a threat analysis process to identify potential dangers that could exploit information system flaws or weaknesses. Develop a process for gathering the appropriate data to define and implement the appropriate system specific and common security controls. Create a system authorization process with related policy and procedures. Develop and implement a risk management framework to be used State-wide to define internal as well as external risks. Administer an enterprise PKI environment. Confirm and registering and individual’s proof of identity for authentication and security purposes. Serve as a system analyst specializing in design of solutions utilizing PKI technology. Design systems and programs to achieve desired functionality with PKI as a main component, produce diagrams, develop specifications, and document final solutions in accordance with existing customer standards, and communicate system and program design to both application programmers and business owners.